Sweeter shouldn’t be added to coffee since it will remove the health benefits of the coffee to the diabetic. Also, this may increase your risk of getting diabetes. Studies have associated caffeine with the increase in blood sugar levels and insulin and as a result, every diabetic who wish to include coffee to their diet should be extra careful on the kind of coffee they drink and amount. Coffee is particularly beneficial since it helps reduce the risk of developing diabetes. Initially, coffee was condemned as being bad for one’s health. However, studies have actually shown that coffee plays a very important role in preventing the body from developing Parkinson’s disease, depression, cancers and liver disease. Studies have shown that coffee will the lower the risk of the body getting type two diabetes. Well, this comes as a relief since there are those of us who can’t go a day without coffee. But, the challenging part is determining whether if diagnosed with diabetes taking coffee can have adverse negative effects. Whether it’s an addiction, want to lower the risk of getting diabetes or already have diabetes, learning about the effects of coffee to the diabetic is important. According to a research by Harvard done for a period of 4 years, people who increased their daily intake of coffee by one cup in a day had fewer chances of being diagnosed with type 2 diabetes. In figures: 11% less chance of getting type two diabetes compared to the control group. Still, on the same, people who reduce their intake of coffee by 1cup per day stand a 17% risk of developing type 2 diabetes. There was, however, no significant difference in the same to those drinking tea. There is no significant scientific explanation as to how coffee helps in preventing diabetes. However, studies have shown caffeine which is a compound in coffee to cause an increase in insulin in the body and as a result lower the risk of developing type 2 diabetes. According to a research published in 2004 in Diabetes Care, it was found that, taking caffeine before a meal can lead to high post-meal blood sugar levels for people with type 2 diabetes. This indicates that, as much as coffee is famously known to reduce the development of type 2 diabetes, if you have already been diagnosed with type 2 diabetes then taking coffee can make your condition worse. Caffeine isn’t the only compound contained in coffee. There are other ingredients too some of which also play an important role in preventing the development of type 2 diabetes. According to the 2004 study, taking coffee for a period of time increase insulin sensitivity and the glucose tolerance hence causes a protective effect. In another study still conducted in 2004, there was a comparison between people who drink 1 liter of coffee in a day and those who don’t. The results showed that those who took coffee had higher insulin levels than the control group. Type 2 diabetes is a condition where the body tries to generate more insulin to counter the effects of glucose in the bloodstream. 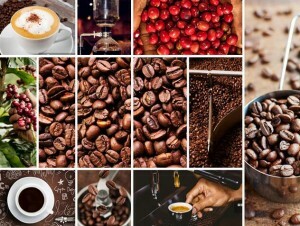 Coffee is associated with the development of tolerance but this will take up to 4 weeks to take effect. A study was done by Duke University to determine how people with diabetes respond to coffee and caffeine. It was found that, on taking coffee, the body registered a high increase in the blood sugar levels compared to the days the subjects didn’t take coffee. The conclusion was, although coffee helps prevent the development of type 2 diabetes the same can be dangerous if you have been diagnosed with diabetes. What are the health benefits if coffee other than preventing diabetes? Reduce stress and depression and allows one to focus on the day to day activities. 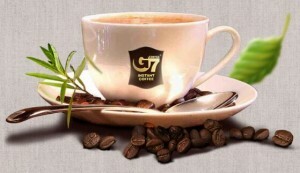 Coffee in its pure form will help prevent developing type 2 diabetes. However, the same cannot be said when coffee has added flavors so you have to be extra careful on this. As much as coffee is a popular drink, taking coffee each and every single day isn’t the appropriate even with proof that it can help prevent diabetes. You should adopt other methods too. When you take coffee at a café together with other creamy and sugary drinks, this might have a negative effect since the cream and sugar pack a lot of calories that might have adverse negative effects to the body outweighing the health benefits of the coffee. Coffee should be taken in its pure form since artificial sweeteners may have unhealthy carbs and as a diabetic that is the last thing you want. Having coffee that is saturated in fats and carbs can lead to the body cells getting resist to the effects of insulin which can eventually contribute to type diabetes. To avoid this coffee should be consumed in To be safe discuss with your doctor before taking coffee as a diabetic. It is recommended that the adolescents should have not more than 100 mg of coffee in a day. Science has not found any food supplement to offer complete protection against type 2 diabetes. If diagnosed with diabetes taking coffee to starve diabetes won’t guarantee effective results, instead you should engage in exercise and lose weight. Reduce the amount of fat and sugar you drink your coffee with and, always consult with your doctor.